UN, April 13. /TASS/. Toxic agents, used during the military conflict in Syria, have been illegally brought into the country from Libya with the assistance of the United Kingdom, Saudi Arabia, United States, Turkey and France, Syria’s UN envoy said. "The terrorists have acquired chemical substances from Libya a long time ago from the Libyan stock. This operation was facilitated by the Turkish intelligence, Saudi intelligence and the American and French intelligence services. They smuggled chemicals from Libya to Istanbul on board of civilian airlines and the guy who was in charge of transporting these substances was a guy named Haitham al-Qassar," Bashar Ja’afari told reporters. The Syrian diplomat stressed that the Syrian government "denied maybe 1001 times similar to 1001 nights the Arabian nights using any chemical substances against our own people." "And we provided all the necessary and required justifications for saying that. So it's time to digest and metabolize what we are saying," he added. Some non-governmental organizations, including White Helmets, claim that chemical weapons were used in Douma, Eastern Ghouta, on April 7. According to the statement uploaded to the organization’s website on April 8, chlorine bombs were dropped on the city to kill dozens and poison other local civilians who had to be brought to hospital. The Russian Foreign Ministry dismissed that as fake news. The Russian Defense Ministry stated that White Helmets were an unreliable source, notorious for disseminating falsehoods. The Russian center for the reconciliation of conflicting parties on April 9 examined Douma to find no traces of chemical weapons. Earlier, various official Russian agencies repeatedly warned that preparations had been underway in different parts of Syria for provocations and simulations of chemical attacks that would be blamed on government forces. The Organization for the Prohibition of Chemical Weapons (OPCW) has sent a team of investigators to the site of the purported incident. The mission is expected to begin its work on April 14. 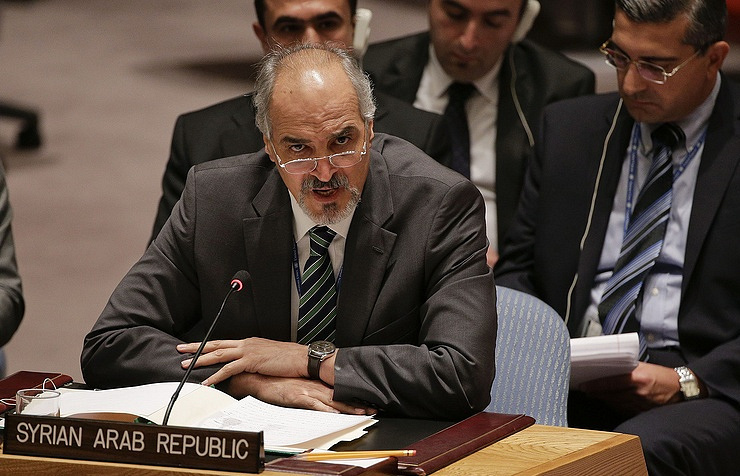 According to Syria’s UN envoy, the first group of 4 OPCW experts has already been granted permission to enter Syria.